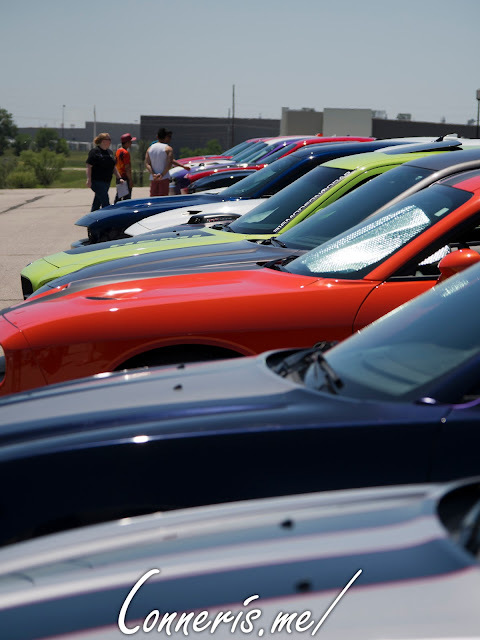 Last year, 316ModernMopar hosted its first Mopar Miles Cruise and it was such a success that they made it a tradition. Check out this year's celebration after the jump! What a day this was! 316ModernMopar plunged right into cruise events with a road trip last year to Cottonwood Falls, KS and it was a fun time. This year was no exception, it was a grand day and it couldn't have gone much better. We gathered up in a mini-mall parking lot on the northeast edge of Wichita and, once assembled, 316MM admins some words on safety, the general plan, and finally a "have fun!" 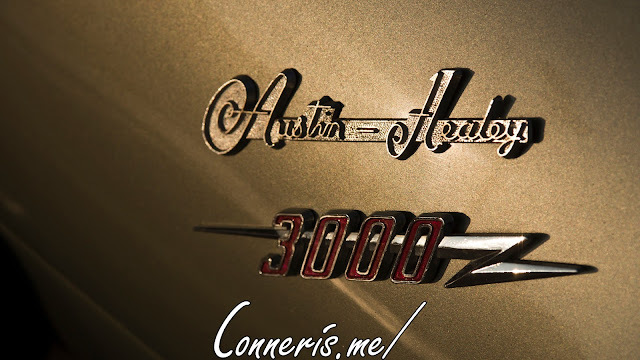 The Hemi engines roared to life and headed north to 254. Taking 254 through El Dorado, we pitted in Walmart parking lot for last-minute supplies, relief, photo-ops, and chatting before the main event for the day. 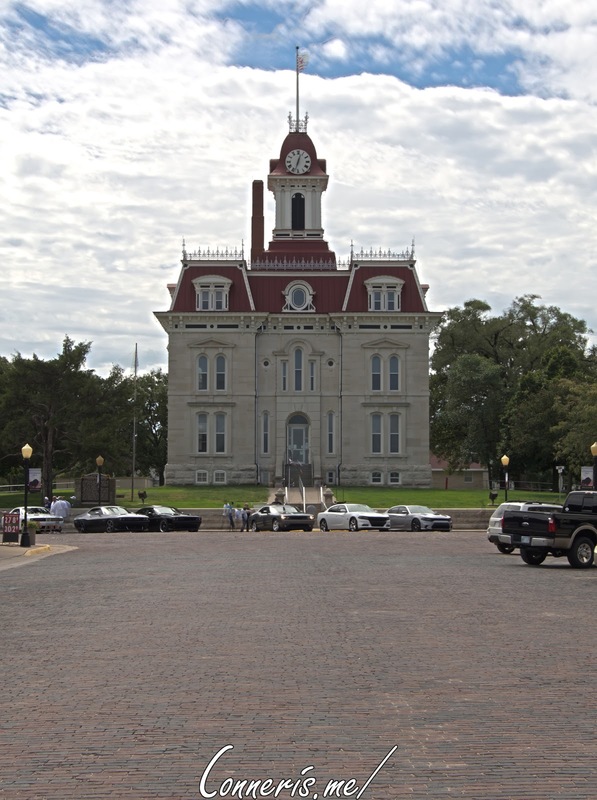 K177 covers the Flint Hills Scenic Byway and is two-lane highway to take in some of the prettier sights in Kansas. 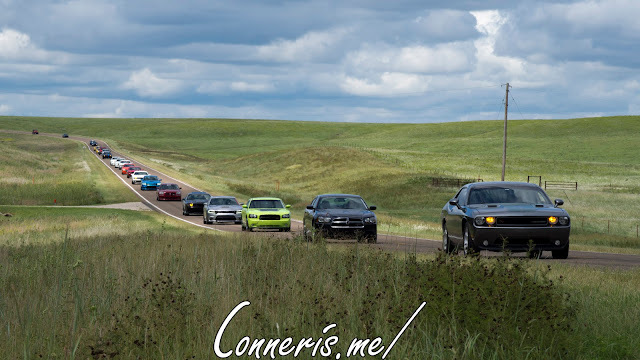 It was quite a sight to see around 40 Mopars in a caravan ranging from SXT to the mighty Hellcat—multiple oncoming vehicles pulled over to watch us pass by. 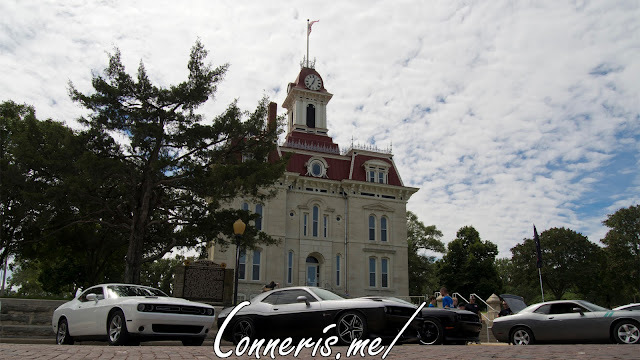 Once we made it to Cottonwood Falls, we parked around the Chase County Courthouse for photo opportunities and hangout for a few minutes before moving onto Swope Park for a picnic lunch catered by Southfork Smokeshack LLC for most members. After lunch and some socializing, we headed back to Wichita. Our Caravan's final stop as at the Kansas Scenic View on K177 just south of Cottonwood Falls. I didn't make this stop with the caravan though, I kept going another few minutes to pull off on a side rode. I grabbed my camera and prepared for the caravan's flyby. It was such a mixture of honor, disappointment, pride, and nerves waiting for this photo-opportunity. Last year Morgan Macias Photography got a photo from this spot that became anthemic for the club and I could only hope to have my photo be held in similar esteem. I had to sacrifice having my own car in the photo in order to proudly declare that the photo was my own... if it captured well. My approach to photography has always been a run-and-gun sort of style, trying to romantically capture a detail or moment as I see it. I tried to guess what the composition would be before the caravan showed up on the road, but it wasn't as anticipated when I actually saw the cars. I had to move, but I didn't have time. I had to shoot, move, and change composition in a few seconds—all while hoping for shots to be in focus as I hit the shutter release. Sixty-three clicks and a few seconds later, the caravan was gone. I ran back to my car and had to catch up. At the time, I had no idea how many photos I got, if they were in focus, or if I made a horrific mistake with exposure settings—that was for future Conner to find out. I eventually caught back up to the tail of the caravan and the cruise resumed as usual. About halfway between Cottonwood Falls and El Dorado, it started to drizzle on our high-horsepower parade, but that didn't dampen our fun. Once we got near El Dorado, we took the scenic way, skirting the majority of the town, keeping to the north edge of town via NE Shady Creek Access Rd just south of the El Dorado State Park. 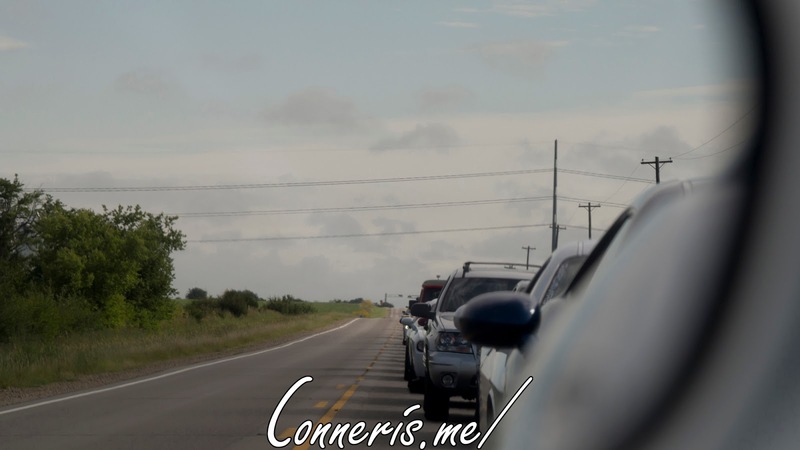 Making our way around El Dorado, we connected back up to 254 and headed west towards Wichita. This was the point when the caravan started to dissolve and the cruise concluded as folks turned off at their respective routes home and others resuming regular traffic at their desired speeds. This was a wonderful event last year and it was just as much fun this year. 316ModernMopar found a niche unlike many other clubs; it's more about the collection of friendships and passions for Mopar spanning all sorts of models and trims owned by all sorts of folks. Automotive communities can be saturated with intimidating/intolerant/toxic individuals—I readily admit I wouldn't decide to spend my time with them despite our shared interest in vehicles—316ModernMopar isn't one of these unwelcoming communities. To the admins of 316MM for organizing these events, and to the other members for being good company, thank you for making this event and community a joy. I hope you all will enjoy the digital fruits of my editing labor (somewhere around 24 hours across all mediums of photos, video, music rearrangement, and writing). I had to make hard decisions with those 63 exposures of the flyby and ended up with only 13 that I could proudly share with you all. I am regretful that I was unable to get more good photos and better highlight everyone more individually, and especially sorry I was unable to get any worthy photos of the caravan's lead car. If you like any of the photos you see here or in the video and want a digital copy or print goods, check out the album in the store, but, if you're here just to peruse, thanks for stopping by!